This year, National Star turns 50, and you can help us celebrate this amazing milestone by getting involved in lots of different ways. Hold a 50th anniversary-inspired party for National Star. 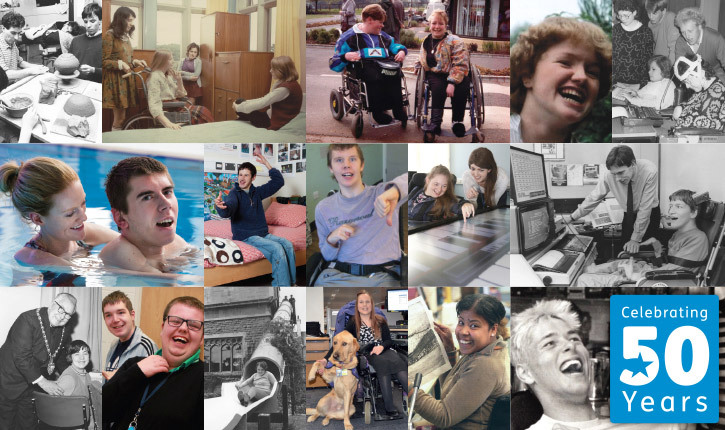 Let your hair down, have lots of fun and help us continue our life–changing work with people with disabilities. Start planning your party. National Star kicked off the first party of the year on 10 May 2017. From epic hot air balloon rides to history displays, a summer barbeque and live music, the event brought together staff, students and special guests for a truly memorable day. Student Abbie attended the event, and she captured her thoughts on her blog. ‘It was the most amazing afternoon, it started off with a lovely BBQ at lunchtime which led onto a huge party with a band, also some very lucky students got a chance to ride on an air balloon (I think this was the best part of the day!). We partied all afternoon and made lots of special memories I’m sure will live in people’s minds forever!’ Continue reading. Each and every donation we receive gives young people and adults with disabilities access to the skills, care and opportunities they may not otherwise have. Help us continue to create futures full of new possibilities.